As the summer winds down, Mayor Gloria McCauley took a moment at the last Township Committee Meeting to thank 6 young students who spent their summer break working in Hillsborough Township’s Municipal offices. 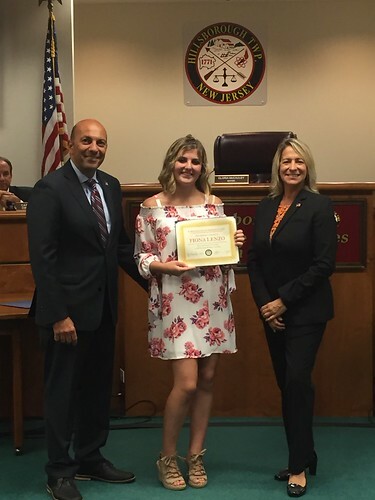 The Township was fortunate to have both high school and college students working side by side with employees in various municipal departments. The internship program provides participants with the opportunity to assist in ongoing projects and general administrative duties while learning more about municipal government.